Jimbaran WJJ004 - With sweeping views over the tranquil waters of Jimbaran Bay, every aspect of this stunning four-bedroom, family friendly villa, from its clean lines to its stylish interiors, promises guests the ultimate in luxury and entertainment. 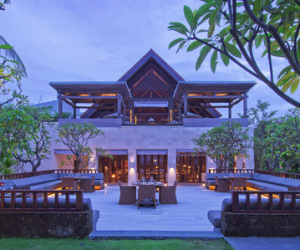 Bukit WJL001 - Designed by renowned Balinese architect Popo Danes, The Longhouse clings dramatically to a hilltop in Jimbaran, with panoramic views stretching over the south coast of Bali. 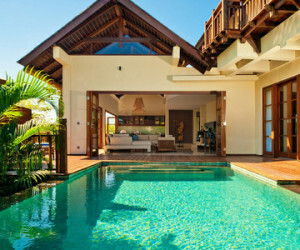 Jimbaran WJA001 - This stylish and contemporary four-bedroom villa has been designed for relaxed, comfortable living, offering breathtaking views over Bali’s Bukit Peninsula - famed for its crystal blue waters, white sandy beaches, world-class surf, fresh seafood and stunning sunsets. 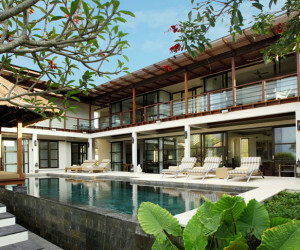 Jimbaran WJA002 - Villa Aiko is a beautiful four-bedroom blend of East and West in picturesque Jimbaran Bay. 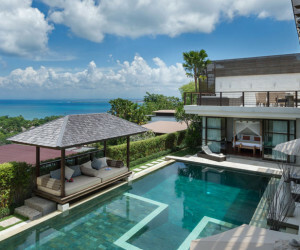 Contemporary in design, with sweeping views across the idyllic Bukit Peninsula, every space at Villa Aiko makes the most of its spectacular hilltop location and breathtaking vistas. 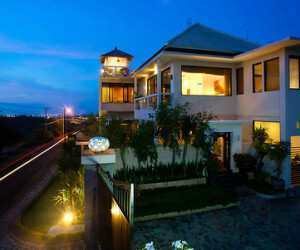 Jimbaran WJS002 - Sky House is an architecturally minimalist yet elegantly designed luxury villa tucked into the contours of a scenic hillside on the highest point of the Bukit peninsula in Bali, only a stone's throw from the island's most beautiful beaches, five star hotels and restaurants. 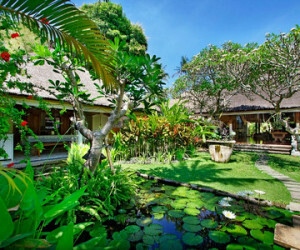 Sanur WSH002 - Villa Hibiscus, a one-of-a-kind, romantically rustic, three-bedroom villa just a five-minute stroll from the calm waters of Merta Sari Beach in Sanur on Bali's southeast shore. 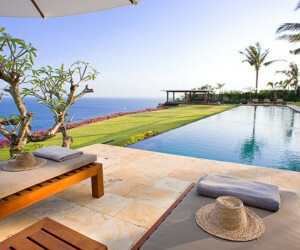 Uluwatu WLI001 - The Istana rests upon 5,200 square metres of prime, cliff top land, 100 metres above the rolling surf of the Indian Ocean on the southwestern tip of the Island of Bali. 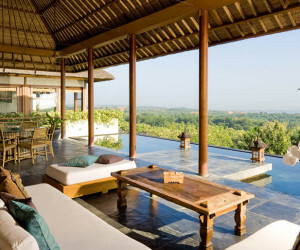 Uluwatu WLI002 - Villa Indah Manis is a peaceful 5-bedroom retreat that can sleep up to 16 guests. 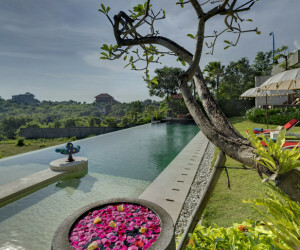 Complete with two swimming pools and a spa, it is operated along the lines of an intimate boutique hotel, and rests in a spectacular location upon 'The Bukit' - Bali's southern peninsula. 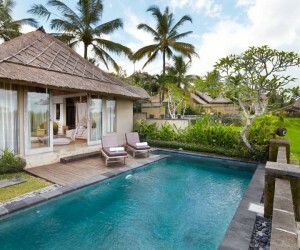 Bukit WJK003 - Very nice and comfy 3-bedroom holiday villa Karma Cantik is a one of about 50 villas located within premises of Karma Kandara estate that includes private villas and the one of the best boutique-hotels in South Bali, member of "The Leading Small Hotels of the World" chain. 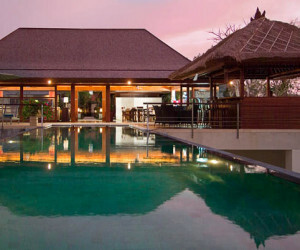 Bukit WJK004 - Designer private residence villa Karma Manis located on the premises of Karma Kandara estate that includes private villas and one of the best boutique hotels in Bali, member of The Leading Small Hotels of the World.